If you love San Diego craft beer and micro breweries, and you love cruising around on a luxury yacht (Hmph, like who doesn’t, right!?!? ), then have we got an event for you!?! 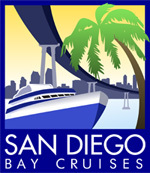 San Diego Bay Cruises and San Diego Brewery Insider Tours, Inc. have teamed up to coordinate San Diego’s ONLY craft beer charity benefit brews cruise events! What makes us different than any other beer festival or beer garden? Well… just about EVERYTHING! First and foremost, we do it for the good of all! We’re the only brewery festival aboard a luxury yacht that donates proceeds of the event to a worthy cause. Our intention is to promote and host Brews Cruise events each and every quarter of the year and select a different charity to benefit each time. Who says charity benefits have to be stuffy black tie dinner banquets? NOT US! We love craft BEER! We love music! We love to party! And we love to help! So, take your black tie and stuff it! In fact, I’m making a rule RIGHT NOW! There will be NO TIES allowed on any of our Brews Cruise events! If you have any idea of How Beer Saved The World, you can appreciate that our Brews Cruise events are the perfect means to help save others! There are over 100 craft micro breweries and nano breweries (typically less than 100 gallons per batch) in San Diego… and we want to support as many as we can by giving them as much exposure as possible. San Diego Brewery Insider Tours is doing a fantastic job of getting you and your friends together to drive around to visit some of these breweries and their tasting rooms. But sometimes, we all just want to get out of the house and party on a boat! So, with our quarterly Brews Cruises, we want to invite a handful of San Diego’s finest craft brewers to bring their favorite brews down to the dock and introduce themselves to you, where we can all have a great time tasting their art and partying like rock stars. Like the charities we like to benefit, we want to give different breweries a chance to come down and host some fun with each Brews Cruise. So, no two Brews Cruises will ever be the same. But they’ll all be equally as awesome! What’s a Brews Cruise event without something to jam to?!?! This is a party boat for Pete’s sake (please don’t ask who Pete is)…. Let’s ROCK THE BOAT! We’ve got three floors of fun on this boat to fill with music. Just as we like local beer, we like local bands too (well, maybe we like local beer a little better)! Anywhoo… we take pride in supporting local charities, local beer, and local music. As such, and to always keep things fresh, we’re going to have a great band on each Brews Cruise playing on the top level of our party boat. And to keep things lively and mix it up, we’ll have DJ entertainment to keep you movin’ and groovin’ on the lower decks where you’ll also find a dance floor to shake what your mama gave ya! We want to make sure that you’re not only having the time of your lives, but you’re getting a great value as well. We want you to come back on another Brews Cruise, and another, and another, AND tell your friends what an awesome deal you got! But remember, we want to give you an affordable good time and still be able to provide some much needed help for our charities. In order to do that, we need to make sure we’re gonna host a night that you’ll want to brag about, and feel good about, because the money you spent was SO WORTH WHILE… and you had a great time while making a difference!